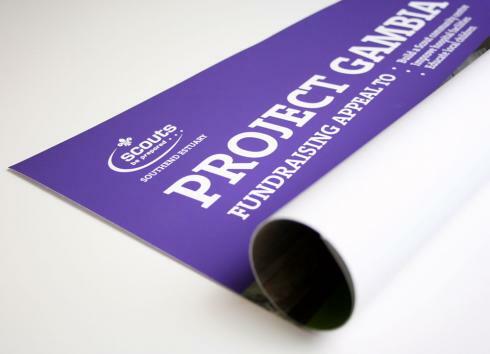 We will print your poster the same day, when you order by 2pm, on 170gsm satin or matte paper. "Great service, hassle free. I have been using Captain Cyan for 2 years now and I won't go anywhere else for my printing needs. Their serivce and print quality is second to none!" Sonja via our online review page. Found the same product cheaper? Let us know and we'll try to match it. Just send us the link to the product you've found, or a quote you've received. Our standard posters are often used for student poster printing as they allow you the choice of satin or matte finishes at an inexpensive cost. Your artwork will be printed onto 170gsm paper. Standard posters are available in either a satin or a matte finish. Order before 2pm for same day collection or delivery to a central London postcode. Available in sizes A0, A1, A2, A3 and A4. Our standard paper is available in sizes A3, A2, A1 and A0. For more information on each specific size, please click on the links above. We can also print custom size standard posters. Our printer has the capacity to print 1m in width by up to 30m in length. For a custom size printing quote, please contact us. Order before 2pm and collect your poster the same day from our London print shop. We can also deliver same day to central London postcodes. For same day delivery zones and prices, please see our full delivery options. The choice of finish is entirely yours. The standard satin paper has a slight sheen to it which produces a professional semi-gloss finish, best for images with lots of photographs. Our standard matte paper has no sheen so will produce better results in well lit areas.